Fyxation‘s Dual Compound tires are now in stock at their online store. These tires would be ideal on your rear wheel. The center strip is from a harder compound that won’t wear down as fast. Pink, White and Orange are now available. – Session 700 with our black rubber (harder compound similar a long wearing touring tire) down the center. 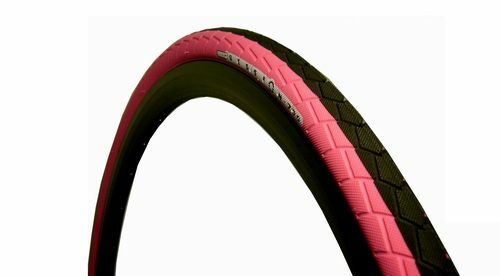 – Designed to be a longer lasting and more durable colored tire. – Fyxation’s specially designed pinch-flat protection. – Full wrap-around tread and diamond pattern for sick control and traction.